We’d love your help. Let us know what’s wrong with this preview of Playing with Fire by Tess Gerritsen. The first time Julia Ansdell picks up The Incendio Waltz, she knows it’s a strikingly unusual composition. But while playing the piece, Julia blacks out and awakens to find her young daughter implicated in acts of surprising violence. And when she travels to Venice to A beautiful violinist is haunted by a very old piece of music she finds in a strange antique shop in Rome. Have you listened to the music "Incendio"? I invite everyone who's read PLAYING WITH FIRE to hear the waltz I composed for the story. Visit my website at www.tessgerritsen.com to hear a short sample, and find out how to download the entire 7 minute piece. It's recorded by concert violinist Yi-Jia Susanne Hou, and is meant to evoke Lorenzo and Laura's tragic love story. I came here actually looking for the title of a book with firery in the title about Irish family of firefighters in NYC and it goes back and fourth from past to present -Ireland to NYC. Anybody have the answer? Dee Kay Was it "Ashes of Fiery Weather" by Kathleen Donohue? All The Stars for "Playing With Fire"!!! I absolutely loved this book! Major feels! I was still crying during the author's note. I listened to the audio version. Julia Whelan is the narrator of one of the two points of view. 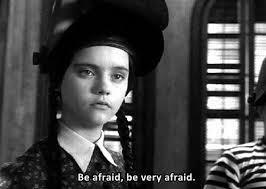 She is my absolute favorite narrator. There are two storylines going on in this novel. The historical fiction aspect is a complete 5! The other storyline was a mystery and that was a 4.5 for me. Although I didn't figure the mystery part out so I'm giving this novel in total All The Stars for "Playing With Fire"!!! I absolutely loved this book! Major feels! I was still crying during the author's note. I listened to the audio version. Julia Whelan is the narrator of one of the two points of view. She is my absolute favorite narrator. There are two storylines going on in this novel. The historical fiction aspect is a complete 5! The other storyline was a mystery and that was a 4.5 for me. Although I didn't figure the mystery part out so I'm giving this novel in total a 5! Julie is a violinist who finds a piece of music in a book that she purchases in Rome. While home in Massachusetts she plays this music and things begin to change in her life. Crazy things begin to happen. Things that her three year old daughter seems to be doing, but is she? This causes her to embark on a journey to Venice in hopes of finding out more about the music that seems to be causing so much havoc! The book takes place in both Italy and the US. It also takes place in present day and during WWII. We have two narrators, two points of view, and two stories that do come together in the end. This is a my first Tess Gerritsen novel but it will not be my last! It's a short audiobook. Just about 7 hours long. It's easy to follow and well narrated by both narrators. I needed this book to be good because I felt myself falling into a rut. I'm so glad I listened to it! I think it did the trick for me. I loved it!!! If you're looking for a book written in the Rizzoli & Isles style, then this isn't what you're gonna get with this one. This standalone by Tess Gerritsen though IS very good. It follows the lives of Julia, a musician in the present day, and Lorenzo during WWII. Julia plays in a quartet, and after a concert in Rome, she visits an antique shop and discovers an old piece of sheet music scribbled in pencil. The music, entitled 'Incendio' by L. Todesco, intrigues her, and she just has to buy it. If you're looking for a book written in the Rizzoli & Isles style, then this isn't what you're gonna get with this one. This standalone by Tess Gerritsen though IS very good. It follows the lives of Julia, a musician in the present day, and Lorenzo during WWII. Julia plays in a quartet, and after a concert in Rome, she visits an antique shop and discovers an old piece of sheet music scribbled in pencil. The music, entitled 'Incendio' by L. Todesco, intrigues her, and she just has to buy it. The music returns home with her to Boston, but after playing it, horrifying events take place involving her 3 year old daughter Lily. Lorenzo is a violinist living in Venice during WWII. He also happens to be a Jew during one of the darkest chapters in history. His story doesn't make for easy reading, and I personally found it heartbreaking. The way Tess Gerritsen weaves together these two lives, decades apart, is riveting. There's always a sense of foreboding to keep the pages turning. All in all, a well crafted story from this excellent author. “Playing With Fire” is the latest novel, a standalone thriller, by Tess Gerritsen, a physician living in Maine. Most of us are familiar with the Rizzoli & Isles series, by this New York Times bestselling author. I must say that this is a change in style for the author, from her previous series, but it works well as she is a master storyteller. I would like to thank Net Galley and Random House Ballantine books for supplying me with a copy of the latest Tess Gerritsen novel in exchange for an h “Playing With Fire” is the latest novel, a standalone thriller, by Tess Gerritsen, a physician living in Maine. Most of us are familiar with the Rizzoli & Isles series, by this New York Times bestselling author. I must say that this is a change in style for the author, from her previous series, but it works well as she is a master storyteller. I would like to thank Net Galley and Random House Ballantine books for supplying me with a copy of the latest Tess Gerritsen novel in exchange for an honest review. (1)Julia's current story is in first person, taking place in the US. (2)Lorenzo's story is in third person, and takes place in Italy against the backdrop of WWII. Normally, I am not too crazy about alternating timelines, as the constant shifts can make for choppy reading, but in this case, everything made sense and came together in the end. The chapters are marked as “Julia “or “Lorenzo”, so we can follow the two stories more easily. Everything changed, when she played “Incendio Fire”. Now it was a nightmare! Julia Ansdell, is a professional musician from America playing violin. She is always on the lookout for old music that deserves to be heard. On her last afternoon in Rome, where she was part of an all-women group quartet, she browses though the antique shops for souvenirs, before her trip back to Boston. She had already bought something for her husband, Rob and their 3-year-old daughter, Lily. Now something for herself. And then she saw it…”Incendio Fire” composed by L. Todesco, a beautiful waltz. But back in Boston, when Julia plays the piece for the first time strange things happen. The piece appears to trigger violent episodes in Julia’s 3-year-old daughter, Lily. Julia finds herself scared of her daughter Lily ...is Lily trying to kill Julia? Rob doesn't understand, and thinks his wife is crazy, and needs to be committed. But before they were going to check her into a loony bin…Julia takes off to Venice, to track down the history of the music. The scene then changes to the story of Lorenzo, the composer of the sheet music, and his life in Nazi occupied Italy. Oh what a tragic life he lived. His story was such an emotional read, that my heart went out to him and his family. “Playing With Fire” is a very complex novel combining historical fiction, family drama with mystery/thriller and great character development. The characters are dark and intriguing. It is a novel that will appeal to a wide range of readers. A very moving novel. When Julie finds a strange piece of music inside a book of gypsy music that she buys from a small antique store in Rome, she finds her life irrevocably changed. Trying to play the piece on her violin she is struck by how powerful the music is, seems almost to have a mind of it own and whose high pitched sound seems to cause her three year old daughter to commit violent acts. Trying to trace where the music came from will take her to Venice and the past and pit her against a powerful family that When Julie finds a strange piece of music inside a book of gypsy music that she buys from a small antique store in Rome, she finds her life irrevocably changed. Trying to play the piece on her violin she is struck by how powerful the music is, seems almost to have a mind of it own and whose high pitched sound seems to cause her three year old daughter to commit violent acts. Trying to trace where the music came from will take her to Venice and the past and pit her against a powerful family that wants to keep the past hidden. Gerritsen is typically a mystery writer and as far as I know this her first foray into historical fiction. Although there is a mystery at its core, it is much more thriller/historical. I found it to be easy to follow, fast paced and extremely interesting. Once again she taught me something in the past I didn't know. For readers who do not like straightforward mysteries, I think this would definitely appeal and give them a chance to experience the fiction of Gerritsen. The author's note explains more about this time period in Venice's past and the real people some of the fictional characters were modeled on. Also applaud the author for not going for the clichéd ending. 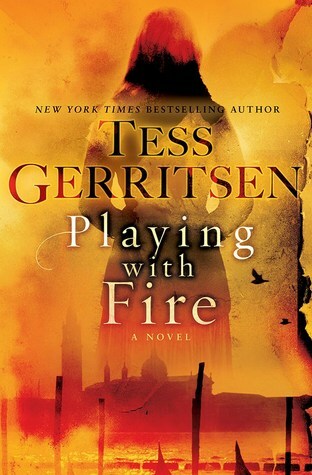 Playing with Fire a Novel by Tess Gerristen was a beautiful, fast paced and extremely satisifying read. This is historical fiction at its best, it's a fiction story set in the past but with some historical facts and figures to keep the reader educated and interested. I would never have picked up this novel if I hadn't recently read a compelling review by a Goodread's friend who left me in no doubt that I needed to read this novel. So happy I took her advice as this was pure indulgence. From the opening paragraph I was hooked. There is just something warm and cozy about this novel that made it such a pleasing read. This is a story set in two time frames, modern day and Venice just before the Second World War. I loved the easy transition between past and present in the story. The characters are interesting and well developed and the plot was just music to my ears. It's short novel which reminded me a little of Sarah's Key I purchased this one in whisper sync and the narration on the audio was excellent and I loved the Violin pieces which enhanced the story. I read a lot of non-fiction on this time period and it was just nice to read a well written and entertaing historical fiction story. I have never read a Tess Gerritsen novel before but will certainly add more of her novels to my list. I would like to thank Net Galley and Random House Ballantine books for supplying me with a forward copy of the latest Tess Gerritsen novel in exchange for a honest review. This was so easy, I love this authors writing anyway but the book appealed to me from the write up and once I started it I couldn't put it down. Of the 100 books I have already read this year I would have to say this one is right up at the top and that is a big statement considering the standard of the books. The book is excelle I would like to thank Net Galley and Random House Ballantine books for supplying me with a forward copy of the latest Tess Gerritsen novel in exchange for a honest review. In a break from her mystery novels, Gerritsen offers up a unique story that blends music with history to produce a chilling narrative that will touch readers at their core. While on a trip to Italy, violinist Julia Ansdell finds a unique and unpublished piece that piques her interest, in Incendio waltz. Upon her return to Boston, she begins to unravel its mysteries by playing it, or at least trying to do so. Each time she begins, the haunting dissonant tones seem to evoke disturbing results in J In a break from her mystery novels, Gerritsen offers up a unique story that blends music with history to produce a chilling narrative that will touch readers at their core. While on a trip to Italy, violinist Julia Ansdell finds a unique and unpublished piece that piques her interest, in Incendio waltz. Upon her return to Boston, she begins to unravel its mysteries by playing it, or at least trying to do so. Each time she begins, the haunting dissonant tones seem to evoke disturbing results in Julia's three-year-old daughter, Lily. Convinced the piece brings about sociopathic tendencies in the toddler, Julia tries to determine its history, while battling with her husband and medical professionals, none of whom can understand why Julia blames Lily's behaviours on a piece of music. In a parallel narrative, Gerritsen tells the story of Lorenzo, also an accomplished violinist, who is living in Italy in the years before the Second World War. As Mussolini holds a firm grip on the country, he begins to mirror the efforts of his fascist counterpart and commences a vilification of the Jews. Lorenzo is torn from the life he knew and the woman he loved all because of this directive. Sent to an internment camp, he is chosen to serenade those who are kept as prisoners, a small ray of hope in a life that remains dreary. As Julia uncovers this, she also learns more about the Incendio, which is telling in its history. Gerritsen pulls on the reader's heart strings in this shorter novel that tells a story more important than any Rizzoli and Isles mystery could hope to accomplish. Probably unfair of me to star this simply because I’m not the kind of reader it was written for. I don’t like novels that want to rush you through them to the end, to the point where you’re almost skim reading in your excitement to know what happens next. I prefer it when a novel is like a love letter – you savour every sentence while still feeling swept up in the excitement of reading on. That’s what a page turner is for me. I like a writer to walk me through the world she has created, not spee Probably unfair of me to star this simply because I’m not the kind of reader it was written for. I don’t like novels that want to rush you through them to the end, to the point where you’re almost skim reading in your excitement to know what happens next. I prefer it when a novel is like a love letter – you savour every sentence while still feeling swept up in the excitement of reading on. That’s what a page turner is for me. I like a writer to walk me through the world she has created, not speed me through it in a fast car. I completely understand why many people love novels that almost demand to be read in one sitting and sacrifice every other consideration – including credibility and historical accuracy - to a “gripping” plot but they’re just not my thing. Playing with Fire aspires to be almost every genre under the sun – at least the genres that sell: historical fiction, YA, thriller, chick lit, romance – and might provide a fascinating case study of what nowadays constitutes a best-selling book. It felt a bit like a novel put together from market research. Just chuck in everything that’s trending. Also you need a PhD in suspending disbelief to make it through all the implausible plot devices without objection, a qualification I discovered I don’t have. As other reviews have noted, readers who enjoyed books like Sarah's Key will take this one to heart. Using a mysterious piece of music as a bridge to connect a family from the past to one in the present, it moved swiftly and kept my interest from start to finish. Was it a coincidence that the pages numbered about the same as those memorialized on a plaque in Venice that inspired this story? History and mystery combined with just the right amount of chilling malevolence resulted in a moving, inspiring, and informative page-turner complete with a twisted ending and denouement that was faithful and true. Other books by Tess Gerritsen will definitely be added to my TBR. My GR friends know that I particularly love a twofer so I was delighted to learn that the author is a musician herself and was inspirited to compose Incendio which is a lovely accompaniment to the book as well as a moving tribute to those who perished and those who were willing to put their own lives at risk. You can listen by clicking the link. I am rating this book based on how I felt at the end, not how I was feeling during the first half! To be honest I started reading and was instantly intrigued by the situation with three year old Lily. Then we switched to the past and Lorenzo's story and my interest quickly flagged. Maybe the contrast was too great, maybe here was too little tying the two stories together. I found it easy to put the book down and do other things. Thankfully I picked it up again later and persisted because once Jul I am rating this book based on how I felt at the end, not how I was feeling during the first half! To be honest I started reading and was instantly intrigued by the situation with three year old Lily. Then we switched to the past and Lorenzo's story and my interest quickly flagged. Maybe the contrast was too great, maybe here was too little tying the two stories together. I found it easy to put the book down and do other things. When I saw that Tess Gerritsen had a new stand alone novel being released, I jumped at the chance to read it. This ended up being a book that is really hard for me to rate. Tess Gerritsen definitely knows how to write and I liked a lot of things about this book. Unfortunately, there were some things that I didn't like about this book as well. I think that the experience of reading this book ended up being just okay for me. The story really ho This review can also be found at Carole's Random Life. The story really hooked me from the very beginning and I thought that I was well on my way to a 4 or 5 star rating. I absolutely love music so when I started reading and realized that music was going to be a part of the story, I knew that I was in for a treat. One of the main characters in the book, Julia, is a violinist. Julia collects music and at the beginning of the story she acquires a piece of music while on a trip to Rome that ends up playing an important role in the story. The book lost me a little when the story shifted to tell Lorenzo's story. I am not always a fan of books with a dual story line. This is one of those cases where the two stories just don't fit together very well. I liked Lorenzo's story just as much as I did Julia's but the thread connecting the pieces was thin at best. Lorenzo is a Jewish musician living in Venice during World War II. The parts of the story that focused on Lorenzo really were often heartbreaking. My biggest problem with this book was the ending. I HATED how the book ended. I actually needed to reflect on it for a few days before I could sit down to write a review. In Julia's case the solution seemed like nothing more than a cop out. I honestly cannot remember the last time that I was so thoroughly disappointed in the ending of a book. The part of the epilogue that attempted to pull the two stories together a little better was also a huge letdown. The book had some great moments as well. There were a few really creepy scenes that really had me glued to the book. I couldn't wait to figure out what the heck was going on. There were also some moments in the book that were so vividly described that they elicited some strong emotions. In the end, I am glad that I read the book and I would recommend it to others. I plan to read more from Tess Gerritsen soon. I received an advance reader edition of this book from Random House Publishing - Ballantine via NetGalley for the purpose of providing an honest review. 4 blazing ★s for this one. Julia is a violinist, travelling in Italy after playing at a festival and now looking for something to take home to remind her of her trip. She carries her prized violin in a case strapped to her back for safekeeping. She's not your garden variety muso. In the window of a gloomy antique shop where she smells "the scent of old books, a perfume of crumbling pages and time-worn leather", she spots a disintegrating book of music with the word "Gipsy" on the front and the 4 blazing ★s for this one. Julia is a violinist, travelling in Italy after playing at a festival and now looking for something to take home to remind her of her trip. She carries her prized violin in a case strapped to her back for safekeeping. She's not your garden variety muso. In the window of a gloomy antique shop where she smells "the scent of old books, a perfume of crumbling pages and time-worn leather", she spots a disintegrating book of music with the word "Gipsy" on the front and the picture of a violinist. Intrigued, she leafs through it and a single sheet of manuscript paper falls out with a waltz written on it in pencil. It’s called “Incendio” —Fire. She can hear the music in her head as she reads the score, and it’s simple and beautiful. She takes it home along with the gifts for her husband and 3-year-old daughter, their long-awaited and much-loved child. She plays the waltz for the first time one afternoon and is frightened by what seems to be its evil influence. As her fears grow, she determines to track down information about the composer, a hunt that takes her back to Italy and terror. The story alternates between Julia and Lorenzo, the young Jewish violinist who composed “Incendio” during the Nazi occupation of Italy. Sad, evil times, which are described in historical notes at the end of the book. This is a standalone read, and one which is absolutely gripping. I didn’t want to put it down. When violinist Julia Ansdell finds an unpublished manuscript for a waltz in an antiques shop in Rome, she has no idea that she has stumbled upon a piece of music that will quite literally prove haunting and hypnotic. There are two timelines to the story, modern day events surrounding Julia interspersed with the story of Lorenzo, the composer of the piece which span back in time to just before and during This is a standalone read, and one which is absolutely gripping. I didn’t want to put it down. When violinist Julia Ansdell finds an unpublished manuscript for a waltz in an antiques shop in Rome, she has no idea that she has stumbled upon a piece of music that will quite literally prove haunting and hypnotic. There are two timelines to the story, modern day events surrounding Julia interspersed with the story of Lorenzo, the composer of the piece which span back in time to just before and during the second World War in Vienna. It is hard to describe the read without giving too much away but there are shades of chilling spookiness, action drama and romance in a story that just flows. I was totally lost in both timelines and kept coming back to earth with a bump each time they switched. This is probably the best book I have read lately. A thoroughly enjoyable read. Many thanks to the publishers via Netgalley for the review copy. Okay, there was absolutely no way I saw that ending coming. I'm like looking down at my Kindle and it's teling me less than an hour left to go and we still don't know why her precious little daughter is going into those seizures, fits, or whatever. This was one creepy book. You've got a three year old beautiful little daughter who kills the cat. Just doesn't stab him once, but stabs him three times? Is this the making of a psycho or just a coincidence? Then a few days later, she's stabb 4.5 stars! This was one creepy book. You've got a three year old beautiful little daughter who kills the cat. Just doesn't stab him once, but stabs him three times? Is this the making of a psycho or just a coincidence? Then a few days later, she's stabbing her mom in the thigh hollering "hurt mommy, hurt mommy". Okay, I would be scared of this kid as well. I don't care how cute she is or that she's mine. Oh did I mention that she left a toy on the next to the last step and the mother tripped over it and went flying down the stairs? Yeah, I would not be able to shut my eyes at night. However, there is a correlation between all these incidents and Julia is determined to find out what it means. This was one creepy little thriller. While the whole book wasn't creepy, taking the reader back to the holocaust might as well have been. This was a very well written book and had great character development, duh, it's Tess Gerritsen. I thoroughly enjoyed sitting out on my back patio today reading this book. I'm certainly glad that it was daylight as I would not want to start reading this before bedtime. The ending seemed like it was a little short, but all the answers were there, I guess I was just so into it that I wasn't ready for it to end. And it was a short read, under 300 pages. I would say this book had everything you would want from a psychological thriller as my heart is still beating pretty fast. I know there were several times during the book that I would just about jump out of my chair but that was because the ducks in the canal behind us would quack and I would be so into it that I would jump. HA!!! Playing with Fire by Tess Gerritsen is her newest standalone novel. The story opens with violinist Julia Ansdell purchasing an old music book from an antique shop in Rome. Inside the book, she discovers a loose sheet of paper that has a handwritten waltz by someone named L. Todesco. Return Playing with Fire by Tess Gerritsen is her newest standalone novel. Returning home to her family, she finds things happening in her life that she cannot explain…..and it all begins when she first plays the waltz on her violin. A series of events that affect her husband and her young daughter, has her travelling back to Italy – this time Venice, the place where she believes the Jewish waltz composer Lorenzo Todesco had lived. cruelty that people endured during that dark time. Mystery, history, drama, sadness, suspense…so many elements in this story. I thought the ending a bit rushed in some way and also the revelations somewhat implausible for me. I'm hovering my mouse over the 2 and 3- star rating. I usually love any and everything Tess Gerritsen writes. Her Rizzoli and Isles series is one of my favorites. When I got word that she had written a standalone, I was beyond excited to get my hands on a copy. Playing with Fire alters between the stories of Julia and Lorenzo. The only thing these two have in common is their love of music and a musical composition by the name of Incendio. While in Italy, Julia Ansdell finds an enchanting, yet co I'm hovering my mouse over the 2 and 3- star rating. I usually love any and everything Tess Gerritsen writes. Her Rizzoli and Isles series is one of my favorites. When I got word that she had written a standalone, I was beyond excited to get my hands on a copy. Playing with Fire alters between the stories of Julia and Lorenzo. The only thing these two have in common is their love of music and a musical composition by the name of Incendio. While in Italy, Julia Ansdell finds an enchanting, yet complicated piece that she can barely contain her excitement to try and attempt once she returns home Boston. Julia begins to research the history of this ensemble once it brings out bizarre behavior in her young daughter that borders homicidal... like Julia's mother. Playing with Fire gets a lot more interesting once the story of the young, naive, violinist prodigy Lorenzo Todesco. I'm always interested in period novels that include the horrors on the Holocaust in the backdrop. I'm still amazed that it happened and the amount of evil the human heart can contain. The Holocaust in Italy isn't always featured in your garden variety quick mystery read, so kudos to Gerritsen for including it here. Without giving away too much, I admit, this novel is a quick, fast paced, interesting read. There's no shortage of reasons to turn the page and stay involved in the stories of these two people separated by space and time. The issue is that neither story needed the other. They were too thinly strung together just for the sake of a thicker book, not a better story. The characters were thin enough to be transparent. I swear I'm a huge Gerritsen fan, but I must be honest. Overall I thought that there were some missed opportunities to have a profound novel that explored the idea of whether our genes could somehow predict our murderous tendencies, or even a well researched historical thriller that told the story of an Italian families plight during World War II. It could have been anything, but instead, it's more interesting to play with fire than read this book. This book was really multi-faceted in so many ways. It touches on a deep parental concern/nightmare, a marriage on the brink, friendship, musical talent, medical breakthroughs, an international mix, and an arc into a historical time period of tragedy. Now that covers a lot of ground. Julia Ansdell, a violinist, is drawn into a tiny antique shop on a winding street in Venice. She is in search of a book that may beckon to her musical background as a memento of her trip. During the purchase, a delic This book was really multi-faceted in so many ways. It touches on a deep parental concern/nightmare, a marriage on the brink, friendship, musical talent, medical breakthroughs, an international mix, and an arc into a historical time period of tragedy. Now that covers a lot of ground. Julia Ansdell, a violinist, is drawn into a tiny antique shop on a winding street in Venice. She is in search of a book that may beckon to her musical background as a memento of her trip. During the purchase, a delicate musical score escapes from the ancient pages of the book....Incendio. She pays heavily for that score in more ways than she could ever imagine. And so begins our story. The story pivots from Italy with the onset of World War II and then into Julia's present life. The chapters are clearly headed as Julia and as Lorenzo. It's a fast-paced novel that keeps you turning the pages and the characters are well-defined. I was quite disappointed by this story. I felt quite sorry for Julia, having your 3-year-old try to kill you would be really quite disturbing, and having nobody believe you would be infuriating too! She did sound a little nuts when she was telling people that her toddler was trying to kill her though! The storyline in this was all over the pace, we had Julia who was worried about her 3-year-old, Lily, and then other chapters about the composer of a piece of music in 1938, and these chapters were really quite boring for me. As events escalated, Julia knew no-one believed her – Rob was a different man, Aunt Val tried to help. But was what was happening something to do with Julia’s past? She knew she had to find answers before it was too late. Her escape to Venice suddenly found her in intense danger – what secret had “Incendio” unleashed? The ancient music seemed to have a life of its own – would she escape its clutches? Would her life ever be the same again? Wow! Another brilliant novel by author Tess Gerritsen! Playing with Fire is set in both 1940s Italy and current day America and is narrated by Lorenzo and Julia. Based on fact, the historical notes by the author at the end of the book tell of the heartbreak of the Jews in Italy; though paling in comparison to occupied Europe. Fast paced, I was completely unable to put Playing with Fire down and devoured it in a few hours. A gritty, thrilling and intense novel which I have no hesitation in recommending highly, it is different from Gerritsen’s normal offerings; but one of her best in my opinion. Alternating between two storylines, Playing with Fire is part historical fiction - part current day thriller. The story revolves around a piece of music, Incendio, which was bought in an antique store in Rome. The author actually wrote this piece of music, which came to her in a dream while writing the novel. It can be heard on Gerritsen's website. It was a very enjoyable read. This book is a standalone, but I am now interested in the series the author has written. She seems amazingly gifted as a Alternating between two storylines, Playing with Fire is part historical fiction - part current day thriller. The story revolves around a piece of music, Incendio, which was bought in an antique store in Rome. Julia Ansdell plays second violin in a women's quartet. She has a husband and a beautiful three year daughter, Lily. During an international concert performance in Rome, she stops in an antiques shop and purchases an old book of music called "Gipsy" written in Italian. Inside this old book a sheet of music slips out which is handwritten in elegantly swooping letters called "Incendio", composed by L. Todesco. It turns out this music is a death waltz that leads Julia to Venice to find out about th Julia Ansdell plays second violin in a women's quartet. She has a husband and a beautiful three year daughter, Lily. During an international concert performance in Rome, she stops in an antiques shop and purchases an old book of music called "Gipsy" written in Italian. Inside this old book a sheet of music slips out which is handwritten in elegantly swooping letters called "Incendio", composed by L. Todesco. It turns out this music is a death waltz that leads Julia to Venice to find out about the composer and why her three year old daughter is trying to kill her. A haunting read that leaves you excited to find out the answers seventy years later. Val, is still not looking at me. The silence grows so thick between us that it will turn solid if I don't cut through it now. "What aren't you telling me?" I ask quietly. The sorrowful voice from my violin seems to sing of broken hearts and lost love, of dark forests and haunted hills. The sorrow turns to agitation. Well, sometimes I get curious about these big, bestselling authors. I knew that Tess Gerritsen is a big name, and the blurb for this book sounded right up my alley: music, antique shops, history, a possible diabolical/supernatural element, and "acts of surprising violence." The book does have all those things, but taken together, I think they give the wrong impression. I would highly recommend this book for fans of "Sarah's Key." It features the same combination of elements: the horrors of WWII in Well, sometimes I get curious about these big, bestselling authors. I knew that Tess Gerritsen is a big name, and the blurb for this book sounded right up my alley: music, antique shops, history, a possible diabolical/supernatural element, and "acts of surprising violence." I would highly recommend this book for fans of "Sarah's Key." It features the same combination of elements: the horrors of WWII intruding into mundane, modern life, in a highly sentimental manner. Clearly, it works for many, many people. "Sarah's Key" is very highly rated. (Even the movie is highly rated.) For me, I didn't feel that either story was executed with the finesse that such subjects deserve. Neither achieved the depth of meaning that they're aiming for. I have to admit, in this book, there was a moment where I got a bit teary... but then the rational part of my head kicked in and I felt a bit disgusted with myself for letting the 'glurge' get to me. Meanwhile, back in the years leading up to WWII, a young Jewish composer (it's pretty obvious that he's the source of the music) falls in love with his Gentile colleague and maintains a sense of denial about how bad life is about to get for those of his heritage. The ideas aren't bad, but it just ended up feeling a bit paint-by-number. Many thanks to Ballantine and NetGalley for the opportunity to read. As always, my opinions are solely my own. Many readers are familiar with Tess Gerritsen for her immensely popular Rizzoli and Isles mystery series. Now she has written a riveting, partly historical stand-alone novel that kept me spellbound throughout! With elemen Many readers are familiar with Tess Gerritsen for her immensely popular Rizzoli and Isles mystery series. Now she has written a riveting, partly historical stand-alone novel that kept me spellbound throughout! One of my favorite reads of 2015! Thanks for the recommendation Sherri. Highly recommended if you like dual storylines, mystery, and historical fiction. Playing with Fire is a standalone novel from the author of the Rizzoli and Isles thriller series and other mysteries that I have read and enjoyed. This novel is somewhat of a departure in both structure and story, being split between two time periods--present day Massachusetts and the late 1930s and war-time Italy. In the present day, Julia Ansdell, a professional musician, married and the mother of a very young girl, happens upon an old piece of music during a music-oriented visit to Italy. From Playing with Fire is a standalone novel from the author of the Rizzoli and Isles thriller series and other mysteries that I have read and enjoyed. This novel is somewhat of a departure in both structure and story, being split between two time periods--present day Massachusetts and the late 1930s and war-time Italy. In the present day, Julia Ansdell, a professional musician, married and the mother of a very young girl, happens upon an old piece of music during a music-oriented visit to Italy. From that point on, her life and the lives of everyone around her seem to change. The music itself seems to carry a mystery and possible danger. In the second thread of the novel we are introduced to the Todesco family, particularly Lorenzo, an aspiring violinist. It is 1938 and the weight of fascist change is slowly descending on Italy's Jews like the Todescos. There is much to like in this novel...some of the history of the fascist years and holocaust in Italy is new to me and may be new to other readers. I enjoyed the historical detail. Gerritsen provides historical detail in an afterword. The details of Julia's confusion and worry seem realistic but, for me, the two parts of the plot seemed somewhat disconnected at times. I thought the ending was well done however, just wonder at some aspects of getting there. Perhaps I'm being a bit harsh as it is an interesting idea. This is something completely new for me with a standalone thriller from one of the queens of the thriller genre, Tess Gerritsen. Having been constantly spoilt by the brilliance of the investigations by Jane Rizzoli and Maura Isles I was keen and curious to see what this novel could bring to the table. I am pleased to say that for the most part, despite being a different style of story, things live up to expectations from the master storyteller. Told through two separate time frames, we follow Jul This is something completely new for me with a standalone thriller from one of the queens of the thriller genre, Tess Gerritsen. Having been constantly spoilt by the brilliance of the investigations by Jane Rizzoli and Maura Isles I was keen and curious to see what this novel could bring to the table. I am pleased to say that for the most part, despite being a different style of story, things live up to expectations from the master storyteller. Told through two separate time frames, we follow Julia Ansdell, a musician who in the last few days of her stay in Rome decides to buy herself a going home present. Little does she know this visit will change her life forever when she lays eyes on a piece of music, ”Incendio Fire” composed by L. Todesco. Juila has never heard of the composer and after reading the notes want's nothing more to play it. Back in Boston, Julia will do just that only for strange and violent incidents to occur with her 3 year old daughter Lily. This is a huge shock to Julia, who as come to a shocking conclusion that her young daughter wants to harm her. The only connections seems to be the song that she plays before each incident. Is Julia losing her mind as her husband Rob thinks or is the answers to be found with the composer. With the help of a friend, Julia will travel to Venice to find answers in a desperate bid to save her daughter and her sanity. What she will find is a heart wrenching story of a Jewish musician who's love for his family will see him give up the women he loves only for his talent to temporarily save his life from execution in Nazi occupied Italy. Looking more into the composers story though is a dangerous pursuit for Julia as powerful people want her silenced. Will she survive finding the truth? Combining historical fiction with elements of family drama and old fashioned mystery made for a story that just demanded to be read. The fate of Lorenzo for one was harrowing as he slowly came to realize how bad the situation was in his home country and that the only way to survive was to leave. These passages were both haunting and beautiful with the love of Lorenzo and Laura. Having two timelines could of been a recipe for disaster but in the hands of Gerritsen worked brilliantly. My only slight disappointment would have to be with the conclusion, that although did explain things did seem a bit rushed. Other than that "Playing With Fire" was a great well paced read that will appeal to anyone who enjoys gritty thrillers. This story is unlike any I have read before, sometimes believable and at times far fetched. There are two timelines in this story that is weaved here. There is the historical past and the modern day, both relating to a piece of music. The composer of the music is Lorenzo. Its chilling, it can be eerie and quite scary. But then my poor brain couldn't compute this 'syndrome' of events that whenever her mother the musician was playing this piece of music it would make her do terrible thing. The child was only 3 years old. It has romance, and it hold drama. Add this eerie piece of composed music and a child that kills and does all sorts of things and you are spooked. Julie is trying to play this music on her violin, but the violin gets a mind of its own. I thought this was more inline to supernatural or devil worship etc than what it turned out to be. Ok there are secrets in the past that come to the present, but I did find the while timeline thing more like a time slip, or a back to the future type of mode. Sometimes though, this was a disturbing piece of reading, so I guess the author did do her job. I struggled a little with belief and time zones, apart from this, I had to finish it to see what happened. I wouldn't say this is the best of her work but certainly though provoking. She returns home to her doting husband and three-year-old daughter. Mother and daughter spend their first day home together and while her daughter plays, Julia picks up the piece and begins playing it on her violin. As she becomes c I am going to be purposely vague as the story is best left for the reader to discover. The story begins when Julia Ansdell discovers a piece of composition called the Incendio Waltz in a little antique shop in Rome. Julia is a violinist and loves collecting old music. Gerritsen's tale is dark, beautiful and suspenseful. She held me completely spellbound. as the outside world slipped away. I tried to determine if our unreliable narrator was losing her mind or the only one who grasps what is happening. In between our riveting present day story, we learn about a young Jewish violinist living in Venice during WW II. Beautifully researched with characters I came to care about this aspect of the story was powerful giving the reader insight into this troubled time and the atrocities this young man and his family faced. Playing with Fire was brilliant from the suspense to the story that unfolds. The way in which Gerritsen tied these stories together, and the reveal on the composition itself and answers to our present day mystery raised the hair on the back of my neck and made me shiver. Gerritsen seems to have taken a new direction in Playing with Fire, and has succeeded masterfully. If you are looking for a book in the Rizzoli and Isles style, this may not be for you. Instead, the author has chosen historical intrigue, interweaving the mysterious discovery of a piece of music in the present, with a hellish time in the past (WWII Italy). The beginning of the book might well lead you to think that this is just another of the psychological thrillers that are everywhere these days, Gerritsen seems to have taken a new direction in Playing with Fire, and has succeeded masterfully. If you are looking for a book in the Rizzoli and Isles style, this may not be for you. Instead, the author has chosen historical intrigue, interweaving the mysterious discovery of a piece of music in the present, with a hellish time in the past (WWII Italy). The beginning of the book might well lead you to think that this is just another of the psychological thrillers that are everywhere these days, but this story is so much more. The main character, Julia's, discovery of an old piece of music in modern Rome turns her life upside down and sets off a chain of events that have repercussions beyond her imaginings. Flashbacks to the life of Lorenzo Todesco, a young Jewish musician living in Mussolini's Italy, provide a vivid and emotional depiction of the increasing isolation and victimisation of Jews as the war progressed. The tragic details of his composition of the 'Incendio', found by Julia, seep into the very notes of the music and turn it into something much more than just a waltz. The novel cleverly explores the connections between the past and the present; the author presents a clear picture of the ways in which one can affect the other. For Julia, her family history of mental illness reaches forward to affect her daughter; while in Italy, the sins of the war cast a shadow over the modern day. Intertwined, the stories create a sense of foreboding and horror that is unsettling but impossible to ignore. Many thanks to Tess Gerritsen, Netgalley, and Random House for this copy in exchange for an honest review.